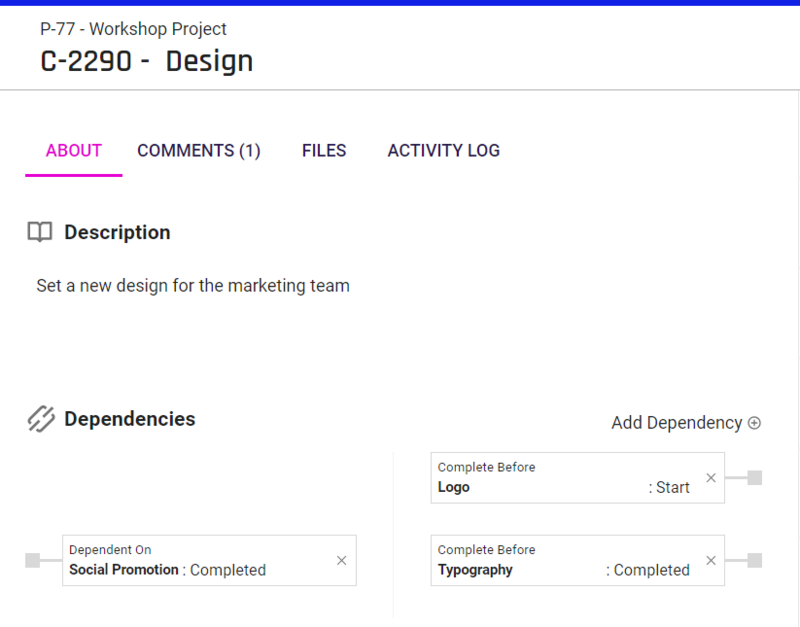 Organize your cards and workflows with dependencies and prerequisites. Dependency: Indicates a relationship of a succeeding task. If the card you have open is dependent then it means that a different card cannot start or be completed before the current card is completed. Prerequisite: Indicates a relationship of a preceding task. If the card you have open is a prerequisite, then it means that a different card must be completed before the card you have open has started or been completed. Create a dependency and prerequisite by opening a card. Identify if you would like this connection to be a prerequisite or a dependent. Next select the first card followed by an action. Finally click Add Dependency. *Note: in this GIF, the example is of dependency not prerequisite. There can be multiple dependencies on a card. Additionally, a card can have both a prerequisite and a dependency. It is not possible to create a circular dependency. (That is where one card is a prerequisite for another card which has a dependency for the prerequisite card). Select the filter icon and choose 'filter by indicators.' In the drop down menu select 'Dependencies.' 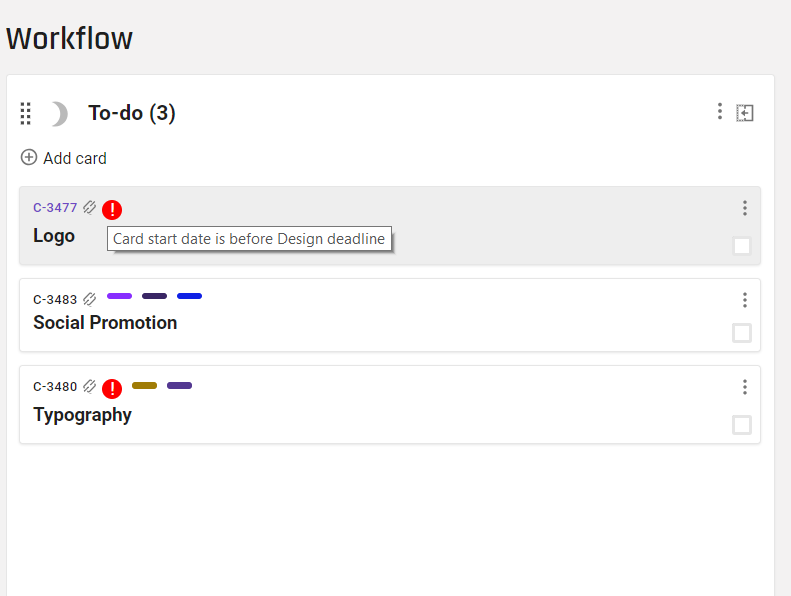 Then you can see all of the cards in your workflow that have a dependent or prerequisite link. If you have the card selected as a prerequisite, the filtering is still Dependencies. Another important indicator is the critical indicator. If your dependencies are not correct, a critical indicator will popup with an accompanying explanation. 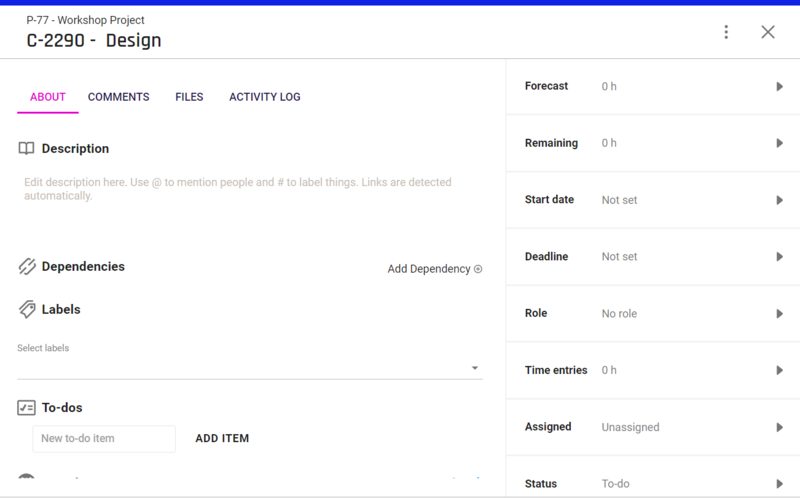 Dependencies can be filtered in the Timeline view, but a visual representation of the dependency link will be coming soon. 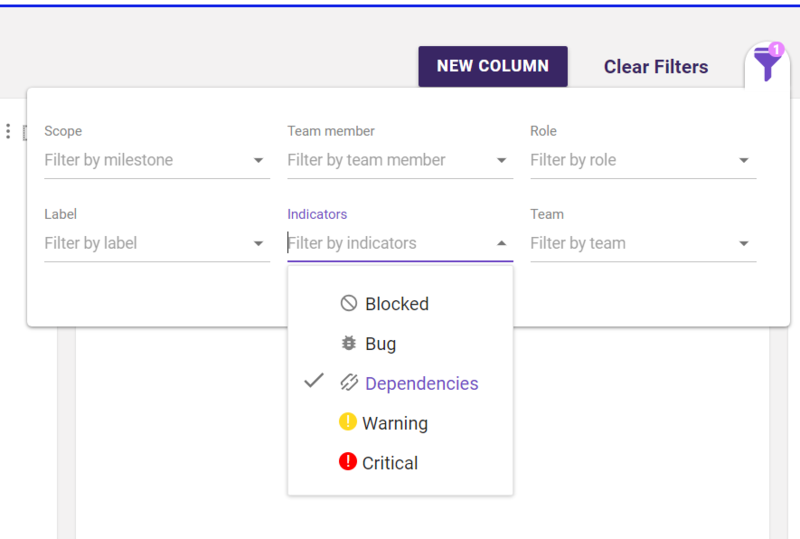 If you have a GitLab, Jira or VSTS integration, dependencies are not enabled due to the assimilation with the other platforms. If you want more information about this feature update check Dependencies out on our blog. Or book a demo with our success team.